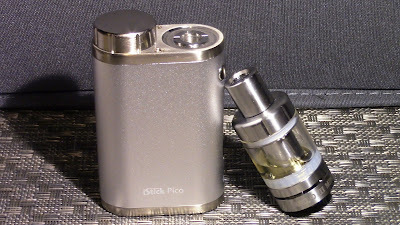 The iStick Pico Kit comes in a plastic-wrapped white cardboard box and contains a 75W iStick PICO micro-mod, a Melo 3 mini tank, two European Economic Community coil heads (0.3Ω and 0.5Ω), a USB cable, beefy user manuals for each the mod and the tank, and a small bag of spare o-rings. It’s a complete package that rang a bell in my memory of the SMOK R80 starter kit that I reviewed not too in the past, in that it’s an honest option for intermediate and even beginner vapers United Nations agency need to form the switch to advanced mods. In this case, all you need is Associate in Nursing 18650 battery, some e-liquid, and you’re good to go.